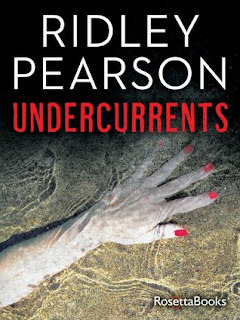 Undercurrents by Ridley Pearson is a 2014 RosettaBooks publication. These days, if you want to read a thriller by Ridley Pearson, one must resort to combing through his blacklisted titles. Ridley has apparently been bitten by the YA/ children’s writing bug and has disappeared down the rabbit hole. 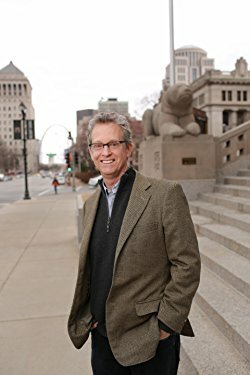 I have been patiently waiting for a new thriller from this author, but it looks as though he is about to embark on yet another children’s book series. Sigh. The good news is, a smattering of RP books can be found on the Kindle Lending Library, (and are also in the KU program, if you are a subscriber) which means I can now read books I missed the first time around, or re-read a few if desired. 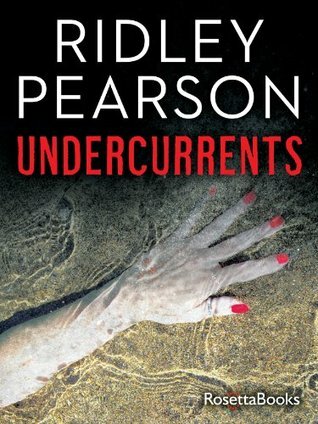 Undercurrents in the first book in the Boldt and Matthews series, which was originally published in 1988. I vaguely remember reading this one, and a few of the details came back to me, as a I read along, but I had forgotten the bulk of the story, so it was like reading it for the first time. Lou Boldt comes to the horrifying realization that the ‘Cross Killer’ is still at large, and the bodies are piling up quickly. To complicate matters, Lou discovers his wife has been unfaithful, which offers him plenty of temptation to act on his attraction to the department psychologist, Daphne Matthews, and to top it all off, there is plenty in inner departmental strife, and the usual politics to cope with…. And they could also have a copycat killer in their midst. This plot is a little complex, so it took me a little while to wade through the murky waters, if you will. Lou’s personal life is wrecked, and often times Lou is just not all that personable. He can be a little bit sexist to boot, and I found his attitude off putting a few times. He’s moody and unpredictable, but at times he has a few very raw epiphanies about himself that has him reconsidering his life and owning up to all his mistakes. Daphne is also a bit complicated, and because I have read several books in this series, it seems as though her personality remains much the same throughout, which is a ‘go with the flow’ type of attitude, but one that often puts up with Lou’s inability to stand on one side of the fence or the other, and so I sometimes wanted to scream at her, to show some kind of emotion, to throw down the gauntlet, or something... anything! The plot, as I mentioned was complicated, and it very nearly spiraled out of control. I struggled a little with the book from time to time, as it moved too slowly for the most part, but then suddenly picked up steam in the last several chapters with some harrowing action, and a pretty tense showdown. I know this series improves with time, so I will revisit it again soon. Either way, it was interesting to go back and re-read this old crime thriller. RP has a nice body of work under his belt with plenty of older titles to discover. I do wish he would throw us a bone every now and then and push out a good thriller again, but I do wish him much success with his children’s series and hope he is enjoying what he does, which is all that matters in the long run. Ridley Pearson (www.ridleypearson.com), the first American to be awarded the Raymond Chandler/Fulbright Fellowship in Detective Fiction at Wadham College, Oxford University, is the bestselling author of over 50 novels including, Peter And the Starcatchers (co-written with Dave Barry), The Kingdom Keepers series, and two dozen crime novels including: Probable Cause, Beyond Recognition, Killer Weekend, The Risk Agent, and The Red Room. His novel The Diary Of Ellen Rimbauer, a prequel to a Stephen King miniseries, was a New York Times #1 bestseller, and a ABC TV movie (2009). Peter and the Starcatcher, a stage play adaptation written by Rick Elice (Jersey Boys) won 5 Tonys for its Broadway run and is currently touring the US.